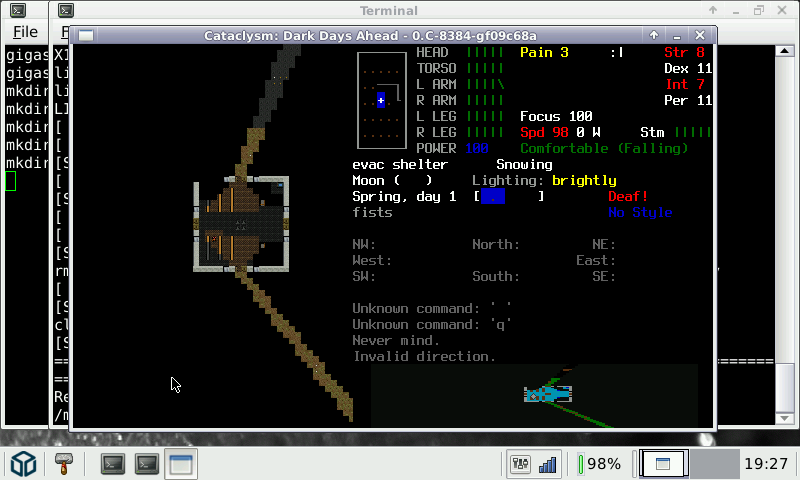 Cataclysm: Dark Days Ahead (aka Cataclysm DDA or CataDDA) is an open source roguelike set in a post-apocalyptic and fictional New England. 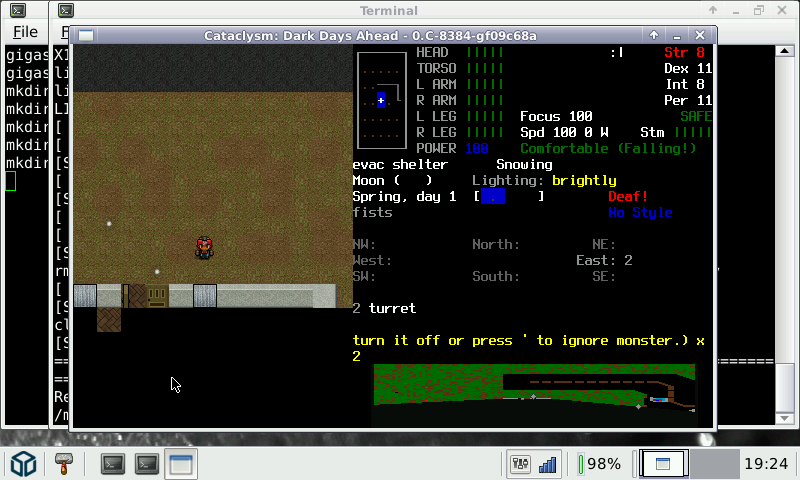 It's a continuation of Whale's original Cataclysm, which expands it with numerous new creatures, buildings, gameplay mechanics and many other features. 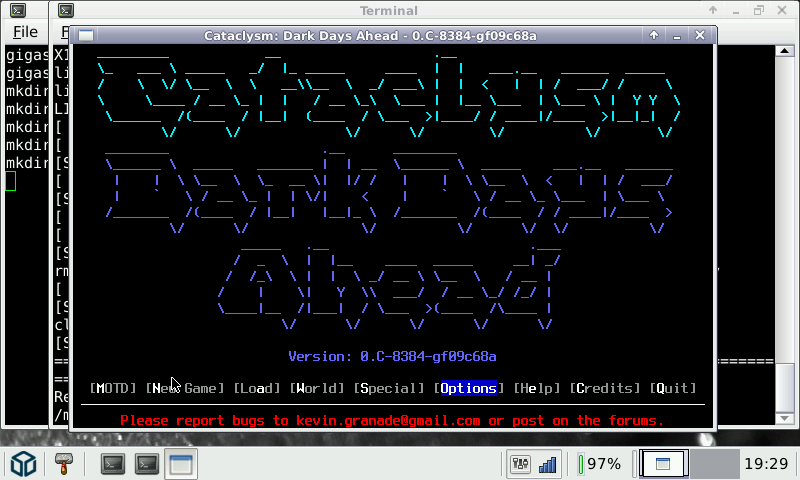 Here is Cataclysm: Dark Days Ahead, the Roguelike game, fork of Cataclysm: roguelike that have evolved quite lot! 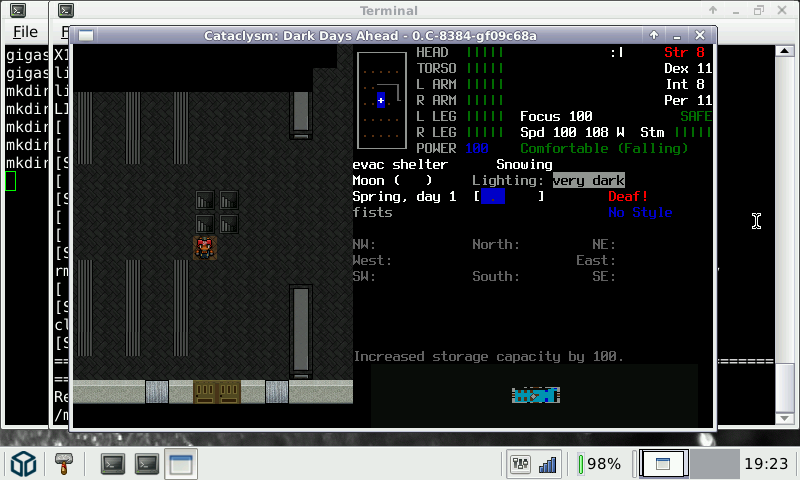 This build has the Tiles activated (it use gl4es), and use SDL2. * Fixed launch script (with a simlink, thanks @nobgu). Thanks! Working out of the box now. Thanks for the update... been playing this way too much on the PC... but now I can do it on the Pandora! Ok. That is odd. I'll update the package with this fix, thanks. 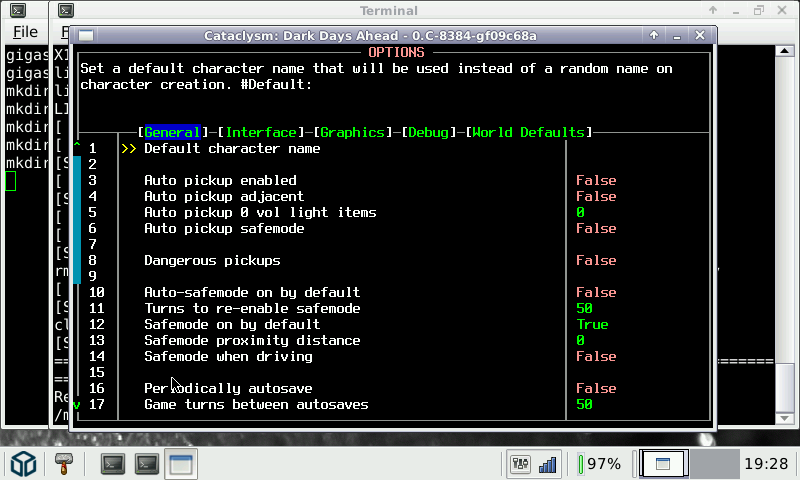 The archive only contains libSDL2-2.0.so.1; a symlink seems to fix it.